Good news for family businesses: in a report issued on October 2, 2017, the Treasury Department recommended the withdrawal of previously proposed 2704 regulations. These regulations could have had a detrimental impact to wealth transfer and business succession planning for family businesses that rely on valuation discounts for tax efficiency and the ability to continue the family business. Earlier this year, President Trump ordered the review of certain burdensome tax regulations issued on or after January, 1, 2016, among such regulations were the proposed 2704 regulations issued in August, 2016. The proposed 2704 regulations would have effectively eliminated the typical valuation discounts, such as for lack of control and marketability, that have been applied in determining the fair market value of closely held businesses for gift and estate tax purposes. Treasury Secretary, Steve Mnuchin, having identified eight regulations deemed overly burdensome, complex, and beyond statutory authority, including the proposed 2704 regulations, recommended in the report that the proposed 2704 regulations be withdrawn entirely. According to the report, this is because “the proposed regulations could have affected valuation discounts even where discount factors, such as lack of control or lack of a market, were not created artificially as a value-depressing device.” The Treasury plans to publish a withdrawal of the proposed regulations in the Federal Register soon. Owners of family businesses can now continue their wealth transfer and business succession planning utilizing discounts without the threat of the proposed 2704 regulations. 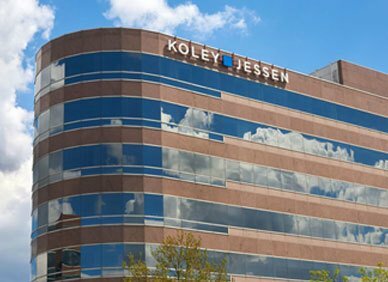 Koley Jessen’s Estate and Business Succession Planning and Tax Practice Groups continues to monitor all regulatory developments closely as we assist with our clients’ wealth transfer and business succession planning needs.